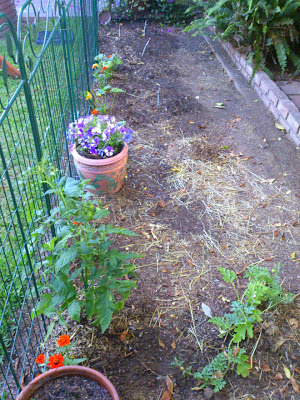 Remember that within a day of the chickens leaving the coop, I hurried and planted some veggies in the run to help bring it back to life. Here it is in the first few days. And a few weeks later. I planted pumpkins, cucumbers and tomatoes along the fence. The cucumbers started producing right away. They love the fence for support. 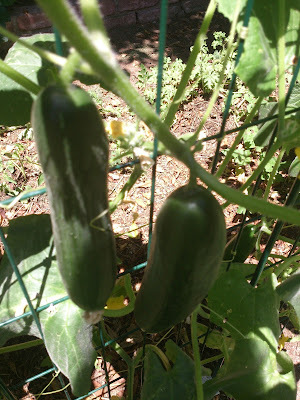 I have now picked 16 cucumbers from that one plant. Flowers from seed have helped to brighten the space. Pumpkins grow among the marigolds. And now here it is as of yesterday. 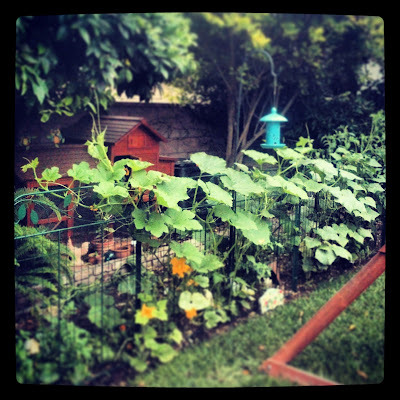 The vegetables growing along the fence are so content and lush. It makes me happy to see it. It still isn't my chickens but better than looking at the lonely coop. 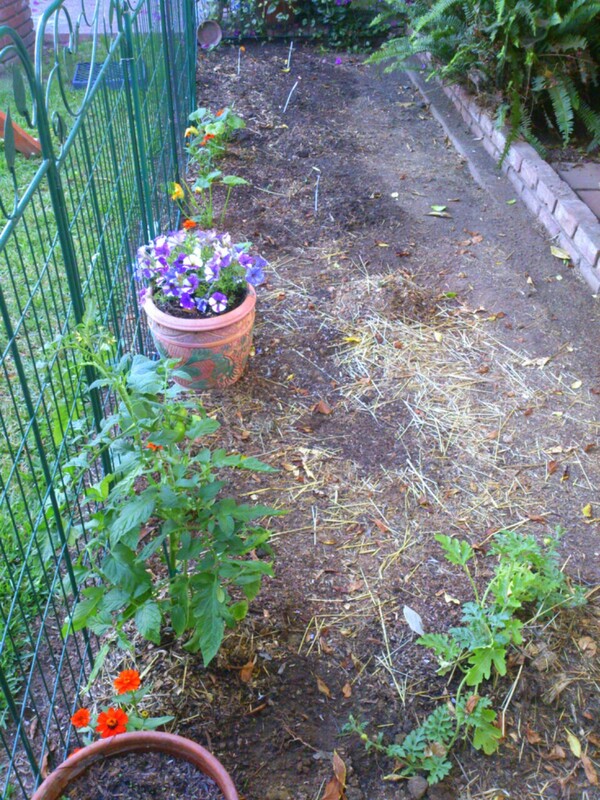 I go in everyday and weed, thin and plant more seeds. The area is partial shade in the afternoon so I am testing what I can grown in the area. It looks great! I love the last photo!! Absolutely beautiful Elaine! At least you have something beautiful to look at and delicious veggies. I love this garden! You certainly have a green thumb! 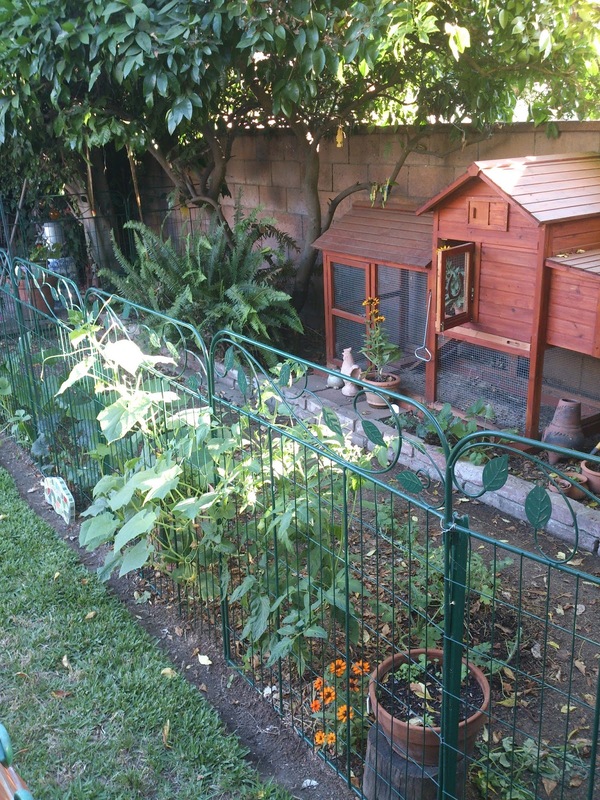 Your garden looks delicious! Wow that looks so lush! I had to pull my pumpkins out. We've had so much rain they had a bad case of mildew that they couldn't recover from. 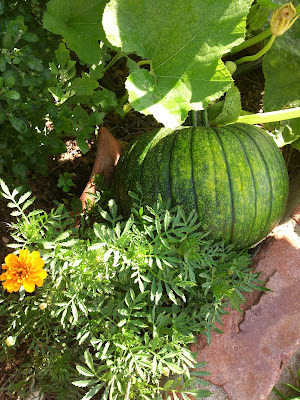 The chickens left you a lot of gold in that soil, and it shows with all the thriving plants you have growing in there. I know you miss those hens, but when you consider what is better for you, eggs or veggies, the veggies will win hands down every time. Lovely garden! Well that is just the prettiest garden ever! I think it is so sad that you had to give up your chickens. Looks like a fun and cozy place. Okay. 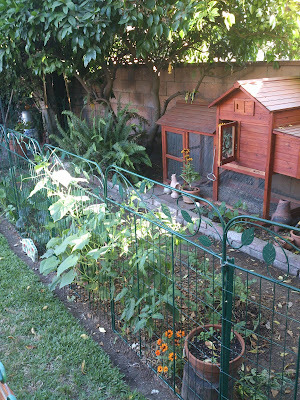 I'm so behind in my blog reading and commenting that I don't know what happened to your chickens??? You loved them so!